While white and beige have reigned supreme for years, in 2018 consider branching out to another hue in the spectrum. A soft sage or slate would be a gentle way to introduce color into the space while still maintaining a neutral tone. Grey is another popular, and timeless, muted shade. Stainless steel and brushed nickel have been a popular choice for a while now, but shiny copper, golden yellow brass, and oil rubbed bronze are popping up more frequently in kitchen remodels for aspects like lighting fixtures, faucets, and hardware. Black appliances are also becoming more sought-after. 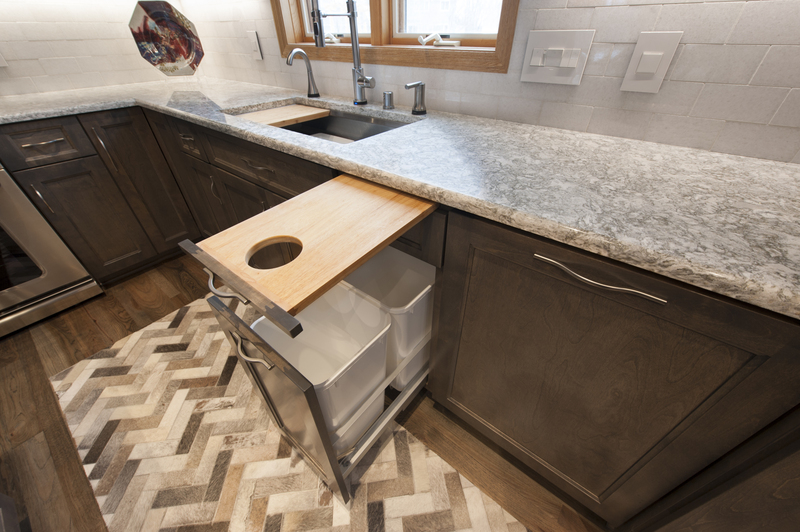 While hardwood is often showcased in kitchen cabinetry, it’s also been featured in countertops more recently, especially for kitchen island and bar combinations. Hardwood floors continue to be in demand, especially in open floor concepts. 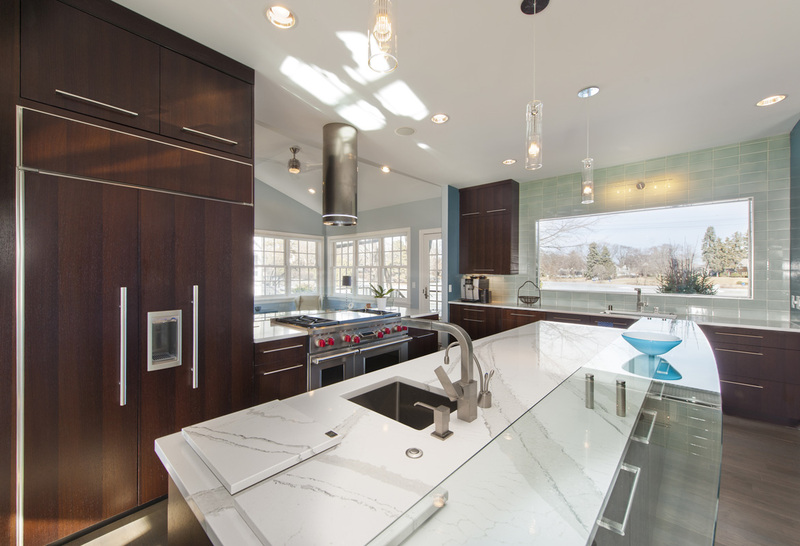 While appliances, sink, countertops, backsplash, lighting, and cabinetry are always paramount, this year, smaller decorative elements like the lighting shades, slipcovers, wall art, and cabinet hardware are getting more attention. Consider adding a chandelier over a breakfast nook with cushions that coordinate with the throw pillows in your living room. As significant as decoration is this year, functionality is still essential. 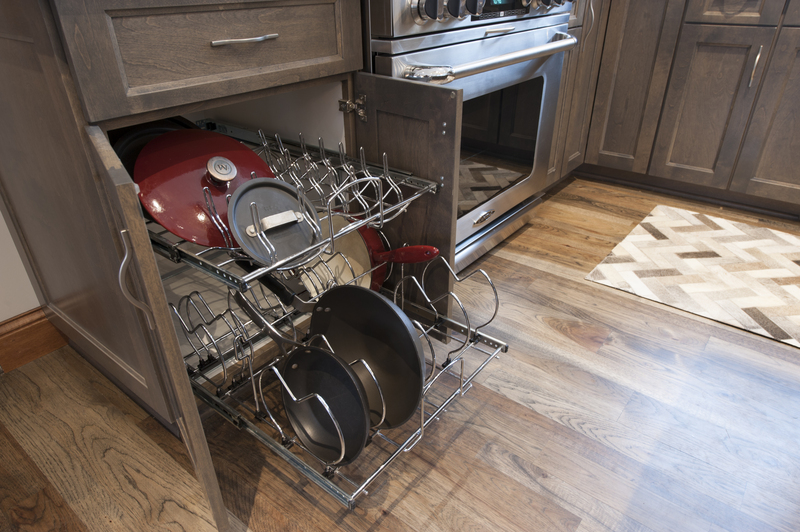 If they aren’t already on your list, incorporate features like rotating shelving in corner cabinets, tiered drawers, and an organized refrigerator enclosure that blends seamlessly into the kitchen. Ready to start your kitchen remodeling project? If you’re in the Twin Cities Metropolitan area, EdgeWork Design Build can bring your ideas to life. Call us today at (952) 401-3900; the initial consultation is always free, so don’t hesitate to get in touch. We also specialize in bathrooms, lower levels and room additions. To see more examples of our work, please visit our website.